DAGADANA besteht aus den beiden Sängerinnen Daga und Dana, sowie einem Bassisten und einem Perkussionisten. Das Besondere an der Formation ist neben einer außergewöhnlichen Vokalperformance die Verquickung von Folk-, Pop- und Klassikelementen, die sich durch alle Arrangements zieht. Sie meistern mühelos den Spagat zwischen Elektronik und Akustik. Polnisches und Ukrainisches Liedgut wird unaufdringlich zu leicht greifbarem Songmaterial westlicher Prägung umfunktioniert. Eine Verkopplung von Ost und West – brillant kombiniert und ein absoluter Geheimtipp! 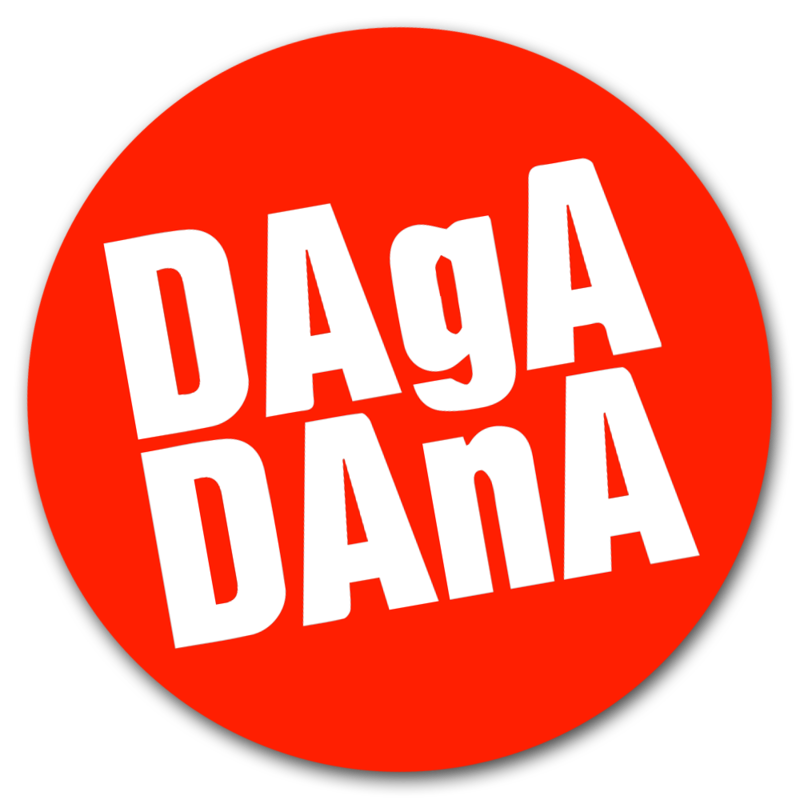 DAGADANA is a fusion of jazz, electronica, Polish, and Ukrainian folk music. The band incorporates traditional folk melodies within their own compositions, which are set to words of traditional songs, modern poetry, and lyrics. Their approach to performing and recording music includes the usevocals sang through voice processors, trance-like acoustic bass influences, various musical instruments. DAGADANA’s multicultural music inspires to interest everyone who is open to the richness of Slavic soul. Their debut album “Malenka” (2010) was awarded the prestigious Polish “Fryderyk” prize and was recognized as the world music album of the year. In addition, their album “Dlaczego nie” was nominated for the “Fryderyk” prize in 2011. The album reached #8 on The Best World Music Albums of the World list in England (www.WorldMusic.co.uk). DAGADANA has performed over three hundred concerts in Austria, Brazil, Bulgaria, China, Czech Rebublic, France, Germany, Hungary, Indonesia, Malaysia, Moldova, Morocco, Poland, Romania, Serbia, Singapore, Slovakia, Sweden, United Kingdom, and Ukraine. DAGADANA serves as an Ambasador of Eastern Europe which represents Polish and Ukrainian cooperation.